Planning a destination wedding doesn’t come with a rule book. 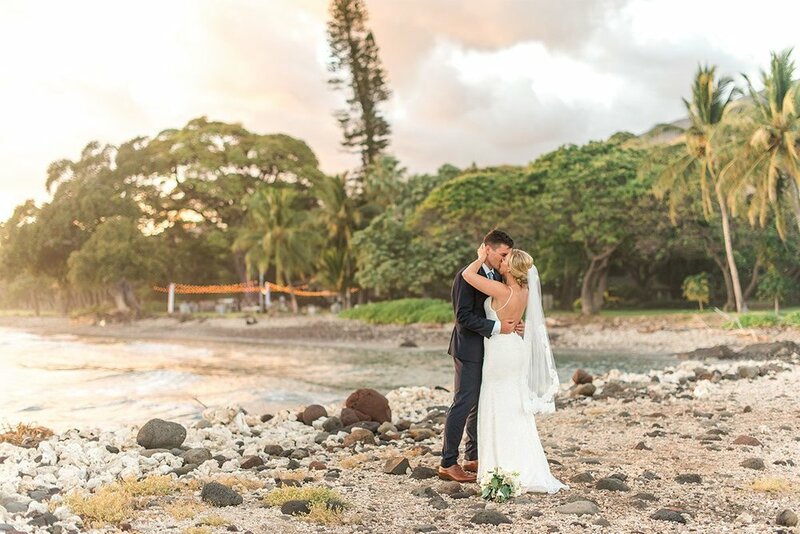 Thankfully, we have planned many luxury Hawaii weddings and want to share 6 tips to know before your destination wedding. Once you know the time of year you want to get married (or even before) it is a very good idea to hire a wedding planner. Destination wedding planners play a vital role to ensure your dream wedding goes off without a hitch, and especially when you are a having a luxury destination wedding. There are many additional details that go into planning a wedding from afar and you want to feel comfortable knowing it is going to be perfect every step of the way. We would love to chat with you about planning your destination wedding! Getting married in a tropical destination like Hawaii has many amazing benefits. Beautiful sunny days and warm romantic nights are just two of them! Although, there are times when rain is more common, so if your dream is to have an outdoor ceremony and reception, be sure to ask your destination wedding planner about the weather patterns throughout the islands. Having your wedding in a popular destination like Hawaii means your guests are in for a wonderful vacation! Determine as far in advance as you can, where you want your guests to stay so that you’re able to lock-in the best rates possible during your wedding festivities. It’s ideal to offer at least two options of varying price points for your guests to choose from. Once you have decided on your wedding date and the room blocks are secured, it’s time to send your save-the-dates! Don’t worry about sending them too early. The sooner you send your save-the-date, the sooner guests will be able to begin planning their trip to Hawaii. People will also start telling you whether or not they plan to attend, which will help give you an idea of how many guests you will have for the wedding. There are unlimited activities to enjoy during your destination wedding in Hawaii. Help your guests make the most of their trip by booking a couple group activities or excursions. This not only helps your guests plan their trip, but also gives you more quality time to share with your guests who travelled to Hawaii to celebrate with you. If there are items you plan to incorporate in your wedding that need to be shipped, make sure to send them well in advance so they arrive on time. You don’t want to have to pay for expensive expedited shipping if possible. It can also be cumbersome to pack everything in your suitcases, so if you can ship items ahead of time that’s often best. Please comment below, if you have any questions about your Hawaii destination wedding planning!